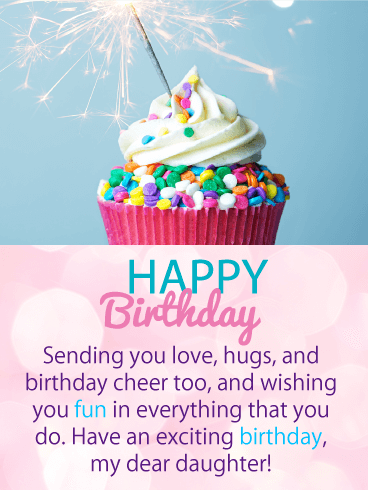 What's better than a piece of cake topped with a candle (and surrounded by candy!) 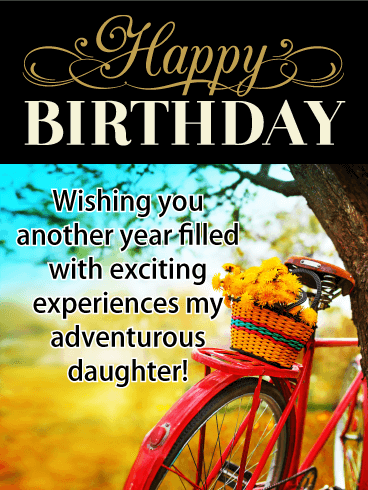 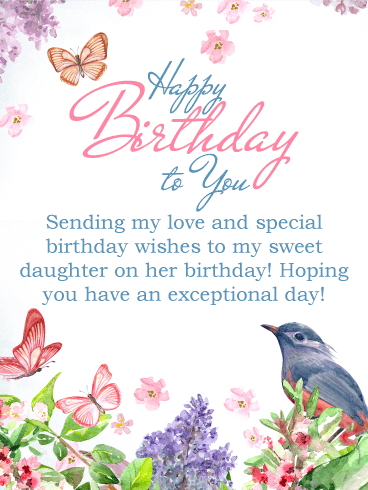 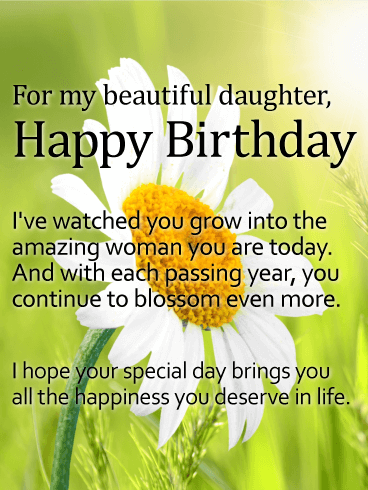 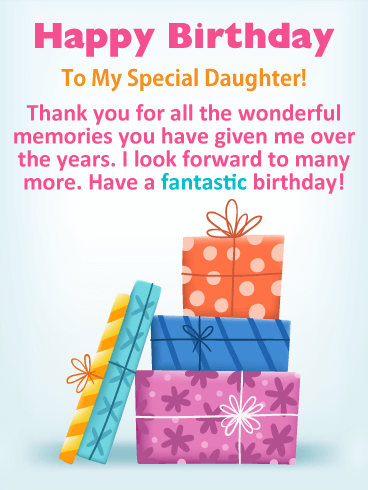 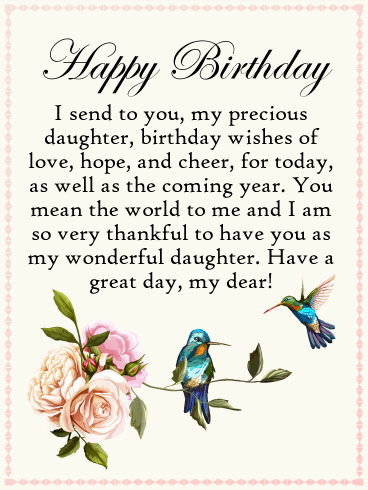 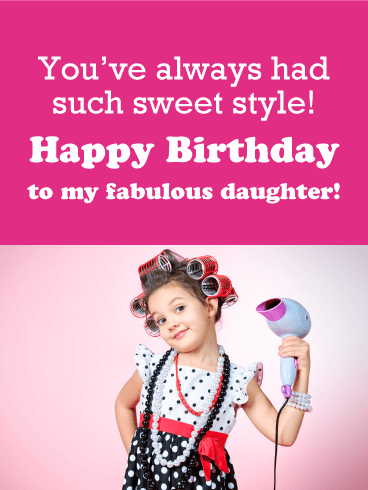 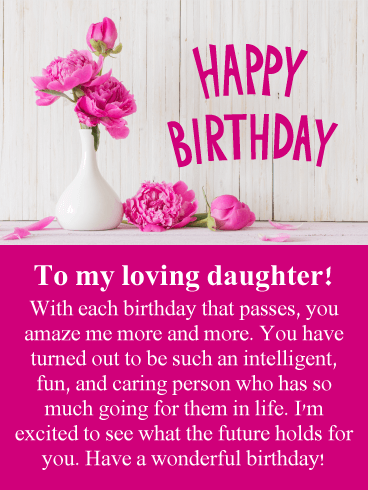 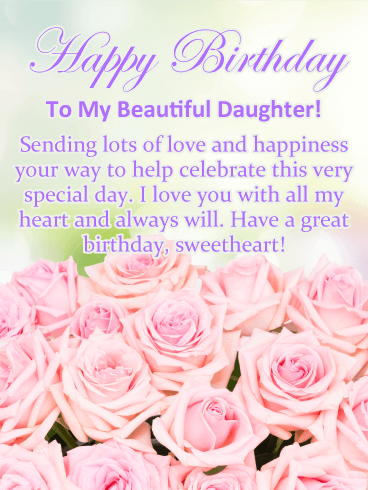 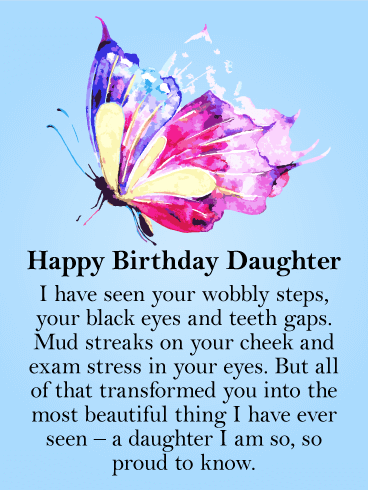 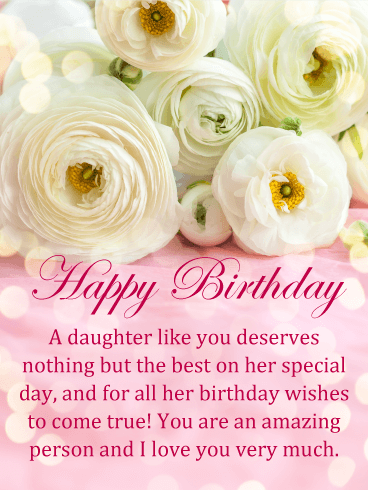 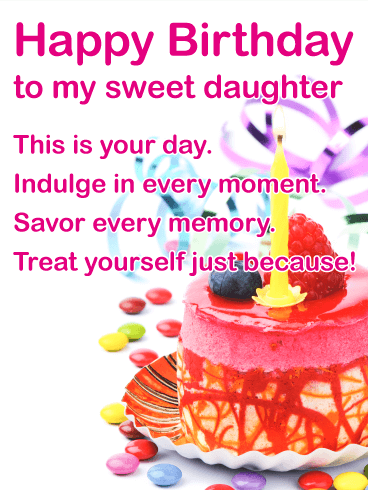 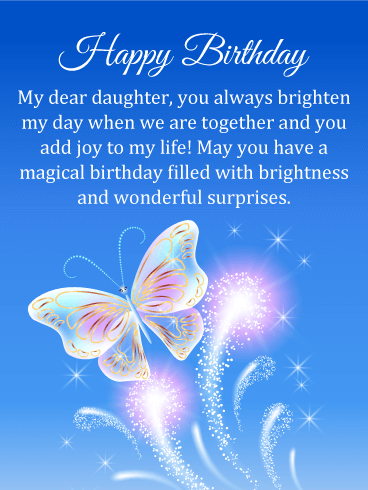 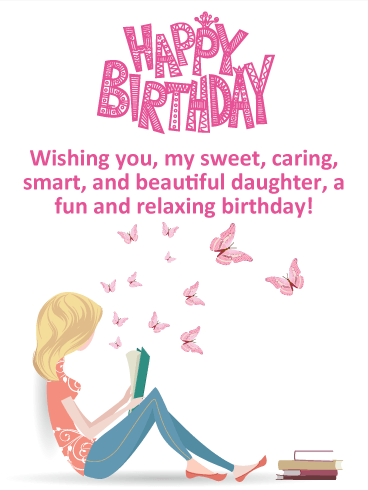 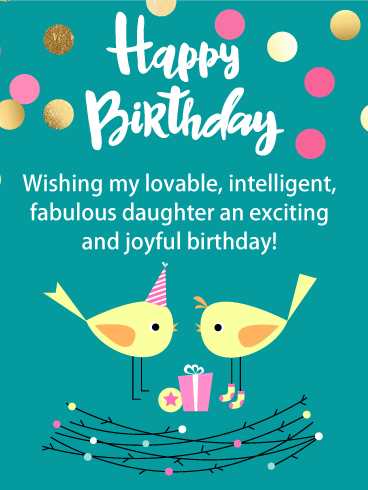 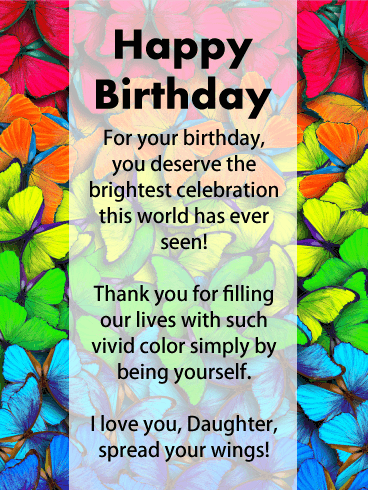 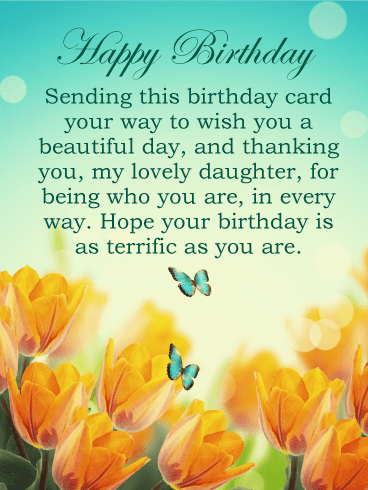 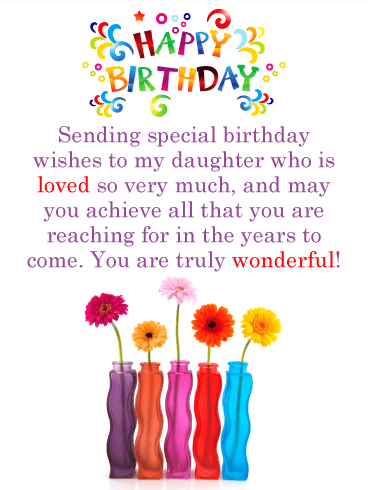 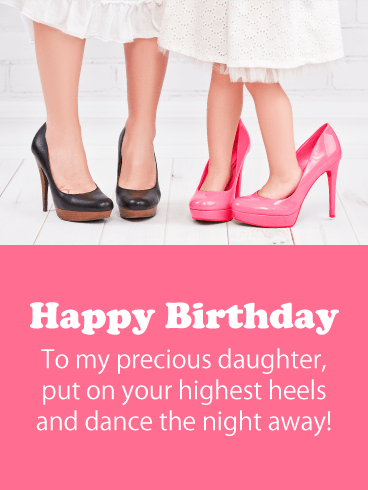 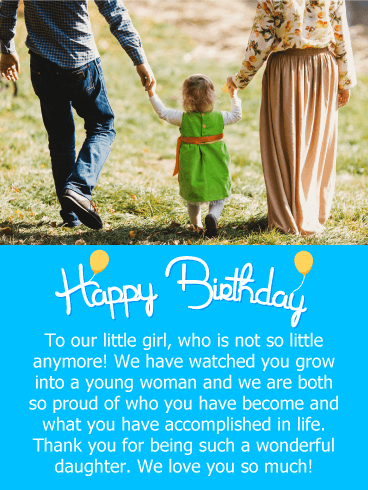 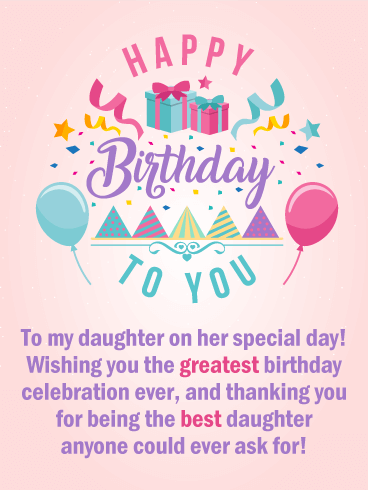 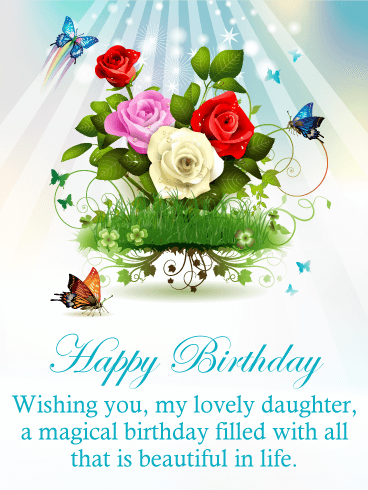 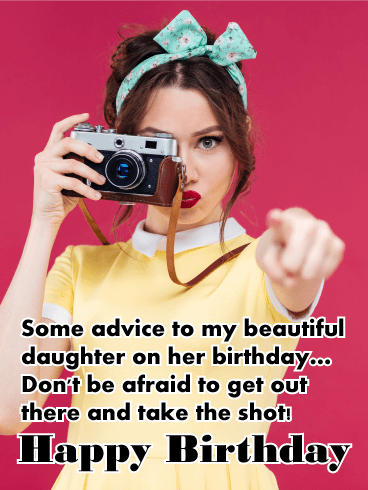 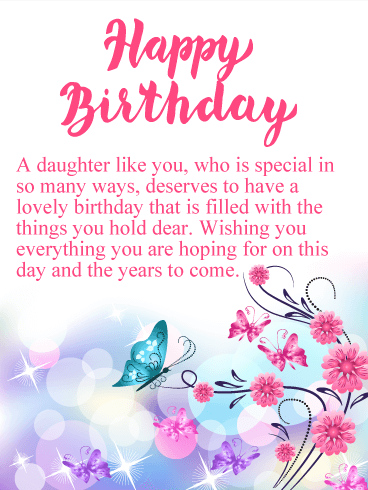 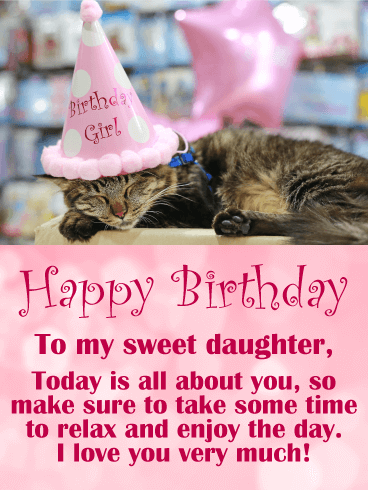 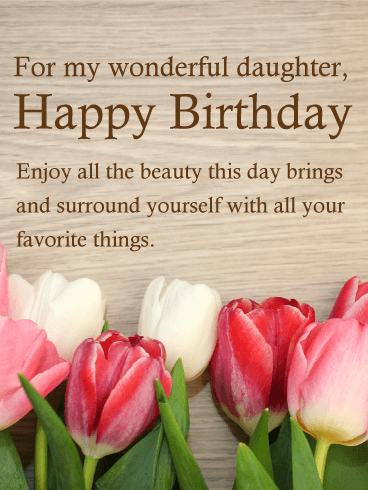 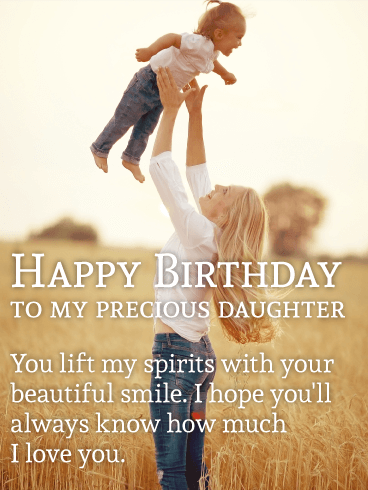 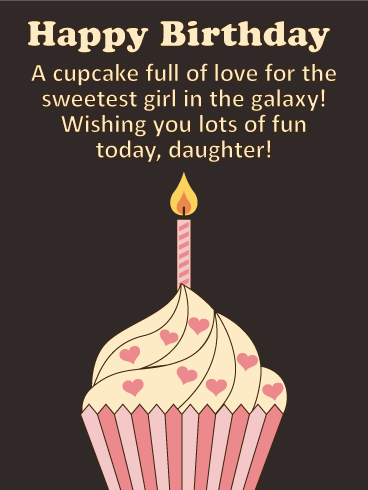 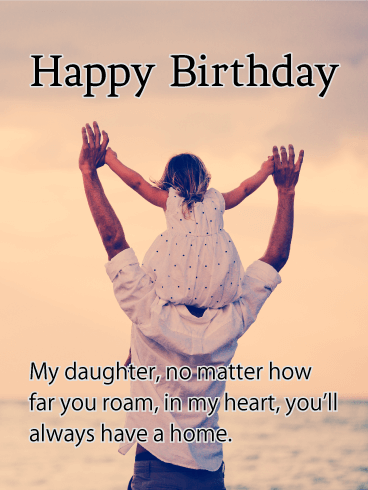 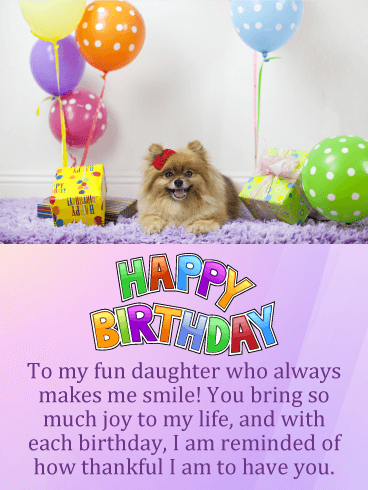 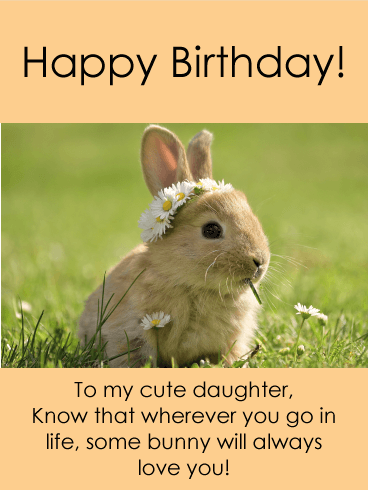 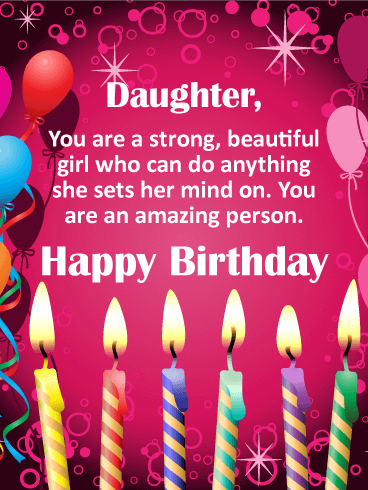 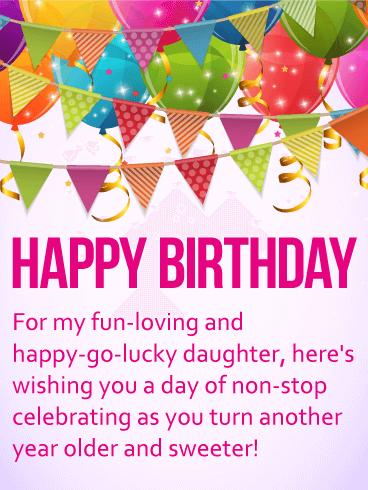 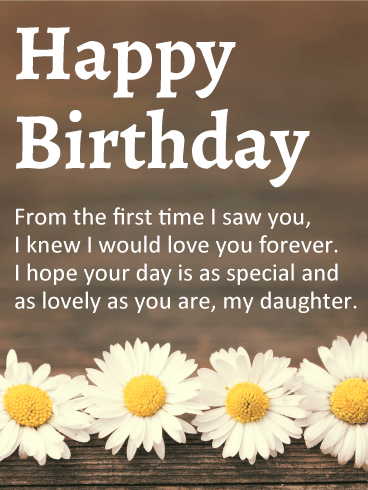 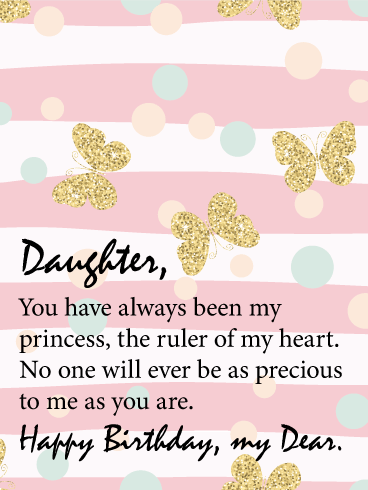 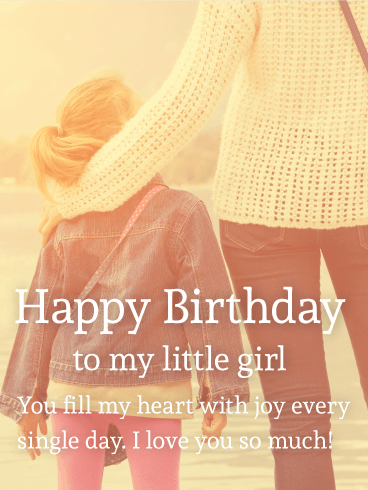 to wish your sweet daughter the best birthday ever! 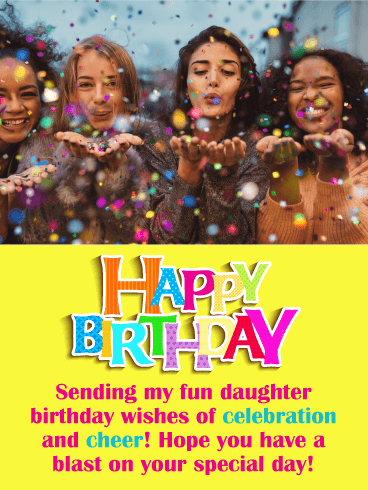 Filled with words like "indulge", "savor" and "treat", this bright, cheerful birthday card is a call to do all the things that make her most happy as she celebrates another year.